You ARE standing at the helm of your own mission now. At least if you feel centered and open, we are standing at the helm. However, if you are frightened or angry, you are not at the helm, and are a possible victim at any moment. Of course, this fear was created not by your reality, but because of your fear. And, often the fear that comes to you is the very fear that you have put out into your reality. Now as you are all moving into the highest frequencies of the fourth dimension, you are beginning to lose your sense of time. That is, you are letting go of your adherence and addiction to the limitations and separations that occur in a reality that is ruled by third and fourth-dimensional time. For many people, “all realities” mean only the third-dimensional realities and maybe some of the fourth-dimensional astral plane. There is still time in these fourth dimensional realities. 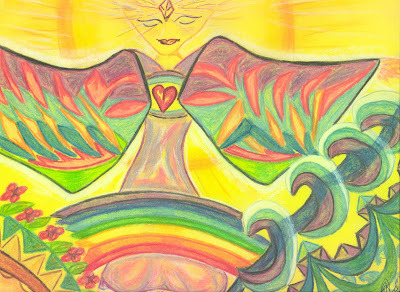 Now, more and more are beginning their consciousness journey through the astral planes. The third-dimensional physical and fourth-dimensional astral worlds are very different. But they both have some structure of time, except but fourth-dimensional time is much faster than third-dimensional time. On the fifth-dimension, time becomes extinct, and there is only “NOW.” You may have thought you had problems with your transmutation in the fourth-dimension, which is simple in comparison with the great acceleration of energy fields as you move into the fifth-dimension. Also, the frequency jump from the fourth-dimension into the fifth is challenging because the fifth-dimension is so different from the first to fourth dimensional realities. It is so very different because in the fifth dimension there is no time. Since there is NO time, there is no separation. Actually, the term “no time” is more of a 3D term as it carries the concept of zero or nothing. That concept does not exist in the fifth-dimension. In fact, in the fifth-dimension everything is right “here”, right “now,” and being alone does not occur. With no time to create distance between people, situations, concepts, thoughts, and emotions all that flows is moving in intermingling patterns of reality. You see that your fifth-dimensional operating system is quite different from your third and fourth-dimensional operating systems. The fifth-dimension is a circle of reality, as all reality exists within an ever flowing, moving, shifting flow. This flow is experienced mutually by all with whom you are sharing your experience. In a third-dimensional reality, your consciousness is limited to the mid-range frequencies of reality. Therefore, you do not see the extremely high frequencies of reality, and you don’t experience the very low frequencies of reality. Hence, you can be unaware of the higher spiritual dimensions, and it is relatively easy for the dark ones to hide in the lower frequencies below that mid-third dimensional frequency range. This third-dimensional mid-range is your third-dimensional habitual thinking, which also includes some of your fourth-dimensional dreaming and creativity. But back to your experience of knocking at the door of the fifth-dimension. What if you learned or remembered that your fifth dimensional life was real? Then you would want to learn about your Higher Self and about the great courage that this higher resonance of you had to enter into a physical body to assist with creating a new world. In the ancient times, many beings tried to create new settlements. Of course, they were on the third-dimensional planet, but they were in an area so different from where they had originated that they did not know the rules of this new reality. Some of these people survived and prospered in their new world, and some did not. However, “survival and prospering” are both third-dimensional words. In the fifth-dimension, there is no death, so every one survives, and there is no money, so everyone prospers. In spite of this knowing many people are wondering, “Can I take this plunge? Can I move into this unknown?” What will this unknown teach me?" However, none of these are fifth-dimensional questions. They are all third-dimensional questions. In order to ask fifth-dimensional questions, you must think fifth-dimensionally, you must feel unity with all life, and you must perceive that all is “ONE” within the “NOW”. Once you embrace the fifth dimension in this fashion, you begin to communicate with others who are in the fifth-dimension and beyond. We say fifth-dimension and beyond because the fifth-dimension is a “threshold reality.” It is a threshold between the third/fourth-dimension and all the higher dimensional realities that exist beyond the fifth-dimension. This fifth-dimensional threshold is much like an oasis where you can rest, relax, and enjoy the wonderful new reality in which you have found yourself. As you come to the threshold of this fifth dimensional world, you will feel immense unconditional love. In a final examination of your total history of life in third/fourth-dimensional realities, you will learn/remember how to unconditionally love, unconditionally forgive and unconditionally accept the myriad lives that you have experienced in your third/fourth-dimensional adventures. You also realize that those feelings were normal when you were in that third-dimension. Thus, when you perceive them from your higher frequency of self, you are able to acknowledge that, indeed, a 3D healing is necessary. Fortunately, you will also remember the camaraderie, friendship, creativity, families, and children. Actually “work” is another third-dimensional word. Also, once these doubtful, and somewhat fearful, thoughts come into your mind, your consciousness begins to drop. Then, you begin to perceive how the images of reality are shifting into a reality which has less love, more work, and things that have to be done as money has great power. “Wait, wait”, you cry, “I change my mind. I do NOT choose to return to the third/fourth-dimension.” But, the fear is in your voice, and you begin to lose your focus on your fifth-dimensional reality. You know that your focus is returning to the third/fourth-dimensional reality because you have experienced that reality, you know it, you can feel it. You realize that if even a whisper of fear enters your thoughts, it could lower your consciousness, which lowers your perceptions, back into the third/fourth dimensional realities. Then you begin racing down into the third/fourth-dimensional realities. “No, no, no”, you cry.” But, “No” is the wrong word. Fortunately, the Kundalini provides a transitional state in which you can consciously feel the re-calibration of your nervous system from a time-bound, third and fourth-dimensional reality into a reality in which there is no fear, no separation and no aggression. Just the mere thought of a reality of NO aggression allows your consciousness to expand back into the higher dimensions. You slowly remember that you have had many visits to the third-dimension. You also remember that you chose several incarnations into a reality in which there was a gentle transition from one frequency of reality to the next. You chose to incarnate in that type of reality so that you could prepare for your incarnation into ascending Earth, who is creating the great transition from the third/fourth-dimension and into the fifth-dimension. Unconditional love arises from the higher dimensions and intermingles into and becomes grounded into a third/fourth-dimensional reality that has been established and maintained with fear and conditional love. Whereas fear bonds one to the third/fourth dimension, unconditional love opens an inter-dimensional portal into higher and higher frequencies of reality. As you enter these higher frequency portals/energy fields, your consciousness expands. Then, as your consciousness expands, your perceptions expand, and as your perceptions expand, you are able to perceive realities based on unconditional love, unity and the “NOW” of the “ONE”. Also, please remember that you only “became trapped in the lower frequencies” because you took a body on Earth to assist Gaia and Her inhabitants to ascend into a higher frequency of reality. As you increasingly release realize that you are the creator of your reality, your consciousness progressively expands. Then, as your consciousness expands, your kundalini force begins to awaken within the core of your spine. As your kundalini begins to awaken, your consciousness expands further, and your physical body gradually alters. If those imaginations and dreams are REAL, then perhaps that being of light that you thought you perceived was real. Then, if even one person says, “I saw a being of Light, and I believe that being is real,” you ponder if perhaps that person is correct. Within your NOW, more and more people are saying, “Yes, yes. I saw that being too, and I also thought that being was real. But, I didn’t know if it was safe to tell any one.” The fact is that as more and more people openly discuss their inter and higher dimensional experiences, they become more normal. As you continue the process of transmuting your consciousness, perceptions and even your physical form into a higher dimensional resonance, your “sense of self” and interaction with your reality will alter. I wanted to share my process of writing this book. I actually got the idea from my publisher. He liked my pictures and suggested that I make a book with the pictures and just a few words for each one. I thought that was a cool idea, but did not know where, or how, to begin. Therefore, the idea sat in my mind, as it slowly moved into my heart. When I began to love the idea, I decided that I would give it a try. But how would I proceed? Once again, the idea had to rest in my heart and mind until it was the NOW to begin. Then, one day I decided to just ask the pictures what they wanted to tell me. 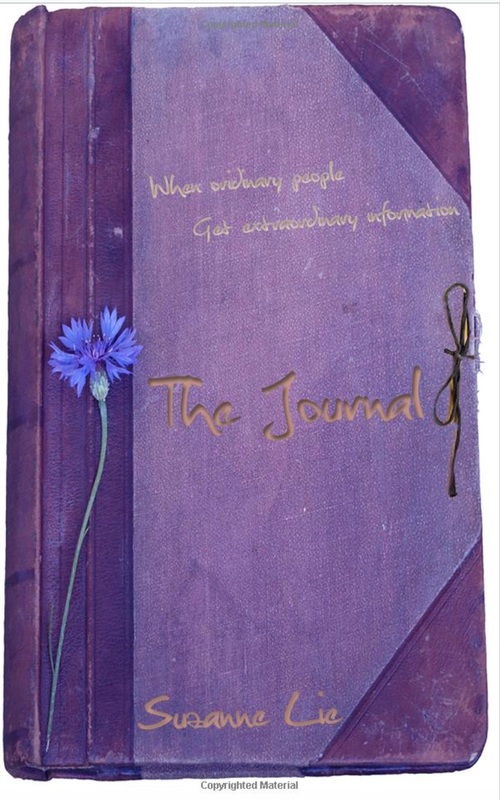 I wrote The Journal, because the Arcturians told me to put together all my channeled messages in chronological order and tie them together with a storyline. This storyline was channeled by the merging of me, the human, and me the Arcturian. 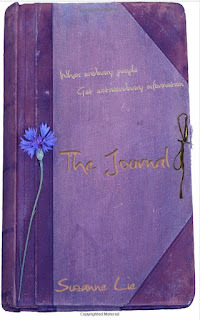 I invite you all to share this "Journal" with me. Please consider writing a review in the above link. I don't want to bother you with too many advertisements, but these books were ALL channeled, and I loved every moment of receiving this information. The books are fun, easy to read and a true assessment of how WE, in human form, can work together to Ascend Gaia. 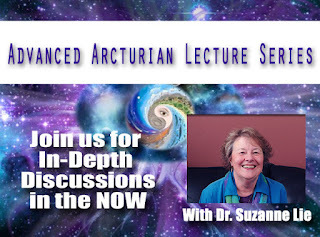 Please gather with us as we receive relevant guidance from the Arcturians, and we host discussions regarding these important topics in the NOW. If you are unable to attend live, we are pleased to share the recording. P.S., as a BONUS for ALL registrants, we are pleased to offer the "From a Higher Perspective: Multidimensional Training Manual" learning package FREE (a $35.00 Value) in appreciation for your attendance and registration! Wow.. Thank you so very much for this excerpt.. It's exactly what I needed.. I can honestly say over they past week is the first time in a long time that I've actually felt physically my body transmuting and changing.. My craving is different.. All the arguments about the election and who said what and who did what is becoming less and less important because I know we're all one and there is no separation except that which we create.. Thank you. Thank you for sharing x. That's lovely Suzanne. It makes spacetime easier to cope with when I read your offerings. Thank you. It's always so nice to read your information, Suzanne. Especially when I am feeling a bit like an outsider attempting to be "normal" in a world that just doesn't fit anymore as we shoot into ascension. So nice not to feel so alone. Thank you! 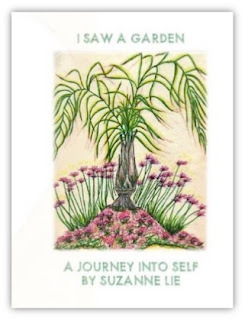 It's so refreshing and inspiring to read your work, Suzanne. My meditations have become so much more powerful since the first time one of your messages magically appeared in my inbox. I am so thankful! Om namaha shivaya.